Centrally located in Düsseldorf, this hotel is a 1-minute walk from the old town and directly opposite the Deutsche Oper am Rhein opera house. 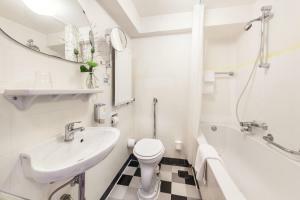 It offers a daily breakfast and good public transport links. 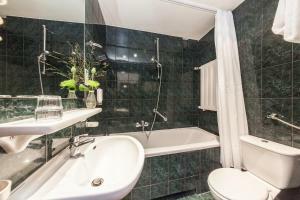 Hotel An Der Oper provides rooms with cable TV, free WiFi and a private bathroom. The buffet breakfast is served daily. There are also many cafés and restaurants near the Hotel An Der Oper. The Heinrich-Heine-Allee Underground Station is 100 metres from the Düsseldorf Hotel An Der Oper.